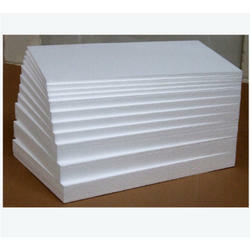 Our EPS Thermocol Sheet/EPS Thermocol/EPS Processors is manufactured by high class raw material. We have been credited as the best of the disposable thermocol manufacturers in India. These thermocol sheets are available at highly competitive prices. Moreover, these go pass through various stringent quality tests before being supplied to our clients. We offer thermocol that is used for packaging various products. Its moisture absorbing properties makes it ideal to be used in various industries. Understanding the requirements of various clients, we can customize our manufactured thermocol on various parameters such as thickness, shape and size. We are offering Thermocol Patterns for auto mobile industries for making press tool, mother machines spars, engine part, and very complicated parts of press tool and machines which are not possible to make in wooden or other materials etc. 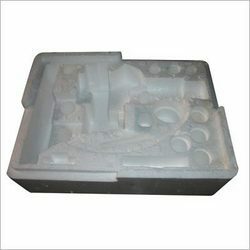 Owing to the immense experience in this domain, we are providing an excellent range of Thermocole Packagings. We are amongst the most reputed names in the industry, offering Thermocol Model. Keeping in mind the many necessities of the clientele, we are involved in providing an extensive range of Thermocol Die Moulded Packing. THERMOCOL BALLS AVAILABLE FOR CRADT PROJECTS AND DECORATION IN DIFFERENT SIZES. CUSTOM MADE SIZES ON REQUEST. Per pack of 5 kg.